This flanged, carbon steel, pressure gasket test fixture (TF2408) is used for evaluating fluid sealing properties. 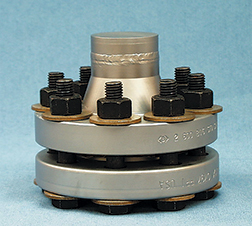 The fixture meets the Fluid Sealing Association's FSA-NMG-2040 specifications. A stainless steel version of this fixture is also available.